The dual purpose of the MHI App is to provide the patient with the ability to convey mood/behavior and changes or concerns; and the medical professional with a monitoring system and a call to action plan. The Mental Health Intervention App was born out of an unfortunate incident between a mother and son. 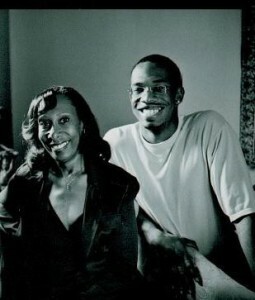 In 2007, Charisse Beach was the victim of a horrific and violent attack by her youngest son. Oliver, then 19, had been diagnosed with Bipolar disorder four years prior. As he reached his late teens, Oliver became frustrated with his mania and depression symptoms and requested a mental health evaluation. He was hospitalized for a week, then released on psychotropic drugs and warned to not stop taking the medication without the consent of his physician. As many in the mental health industry know, patients have a difficult time managing their feelings and often self-diagnose themselves away from medications. This was the case with Oliver, who stopped taking his medication after a month of unpleasant side effects. He refused further treatment. Two months later, Oliver experienced a psychotic episode which resulted in him violently attacking his mother. Thankfully, Charisse fully recovered from her injuries. Oliver responded exceptionally well to treatment and is functioning psychotropic drug-free today!